How to grant employees access to a particular project. By default, users set up as coworkers in your account are not allowed to view projects. If you want a coworker to be allowed to collaborate and track time spent on a project, you first need to assign him to the project. You can do so when adding a new project or when editing an existing one. To view and manage project permissions click on the ‘Permissions’ tab. Select the users from the list who should be able to have access to the project. After selecting the required users don’t forget to click on 'Save' to update the project permissions. 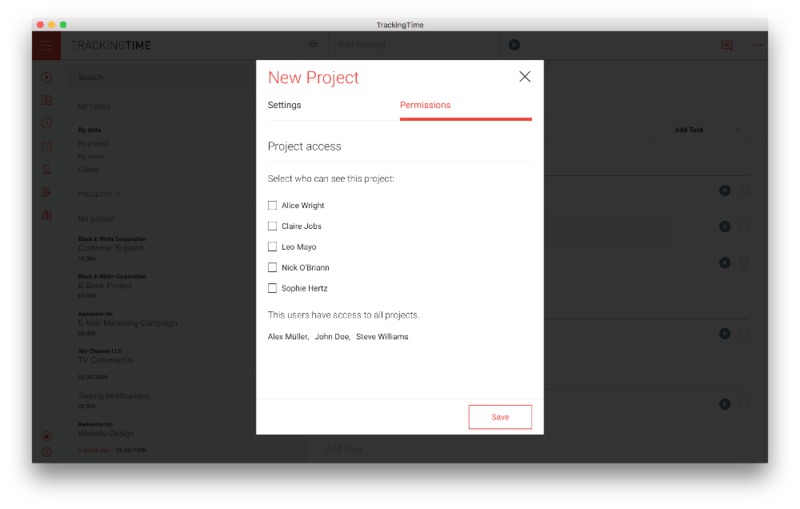 Once you've granted project access to a user, he'll see the project on his projects list.